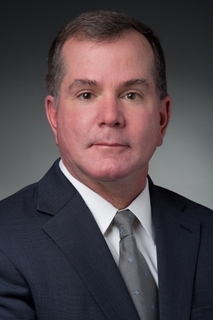 NEWPORT NEWS, Va., April 21, 2011 (GLOBE NEWSWIRE) -- Huntington Ingalls Industries, Inc. (NYSE:HII) announced today that William "Will" Ebbs has been named corporate vice president, legislative affairs and federal policy. In this capacity he is responsible for directing outreach regarding legislative and policy matters to Congress and the executive branch. He reports to Mitch Waldman, corporate vice president, government and customer relations. "Will's long experience in Washington and prior military service will be essential to our government and customer relations efforts," Waldman said. "He joins a strong and experienced team that is focused on enhancing communication and alignment with our customers." Prior to joining Huntington Ingalls Industries, Ebbs served for four years as the chief of staff for the United States House Armed Services Subcommittee on Seapower and Projection Forces. In that role, he was the senior adviser to the chairman of the committee for all U.S. Navy and Marine Corps procurement and research and development programs. Ebbs is a former submarine officer and a 31-year veteran of the Navy. He holds a bachelor's degree in electrical engineering from Auburn University and a master's degree in national resource strategy from the National Defense University, with emphasis on the global shipbuilding industrial base. Chanik and Womble report directly to Waldman, and Foley reports to Chanik.